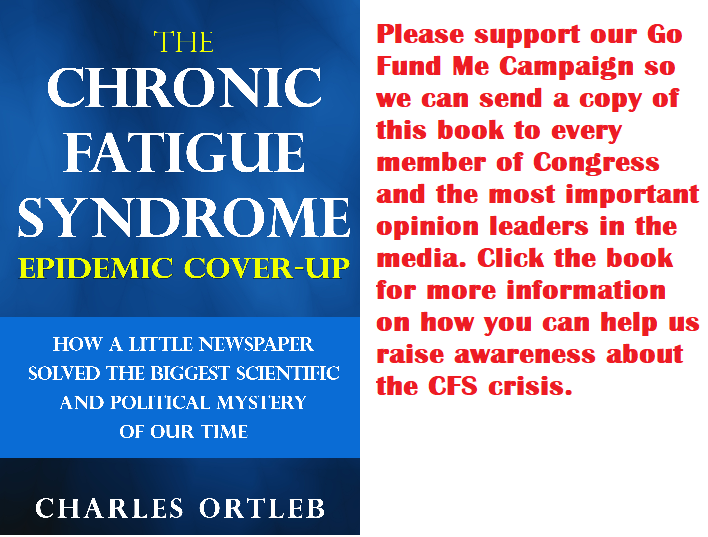 HHV-6 University : What if HHV-8 is a real biomarker for the intertwined Chronic Fatigue Syndrome and AIDS epidemics? What if HHV-8 is a real biomarker for the intertwined Chronic Fatigue Syndrome and AIDS epidemics? These two grant requests present a disturbing picture of a virus (HHHV-8) that could turn the AIDS epidemic paradigm upside down. DESCRIPTION (provided by applicant): Kaposi's sarcoma herpes virus (KSHV) also known as human herpes virus 8 (HHV-8) causes several cancers including Kaposi's sarcoma, primarily in immune-compromised patients. HHV-8 has been shown to be transmitted sexually, through saliva, and through infected blood and organs to recipients. While a number of serological assays have been devised in the research setting to detect HHV-8 infection, there are no FDA-approved assays. Furthermore, there is no gold standard diagnostic assay for HHV-8 infection and none are of adequate sensitivity and specificity to be used commercially for diagnostic or blood screening purposes. Nevertheless, these assays have revealed that as much as 3 to 5% of US blood donors have been infected with HHV-8, and some high-risk populations such as homosexual men, the HHV-8 prevalence is as high as 65%. Thus, there is a need for a commercial diagnostic to identify HHV-8 infected individuals to prevent further transmission of this virus within thegeneral population and immune-compromised individuals as well as into the general blood supply. The overall goal of this project is to develop a sensitive and specific serological multi-antigen assay for the detection of HHV-8 antibodies that can be usedcommercially to diagnose at-risk patients and identify blood/tissue donors with HHV-8 infection. Epiphany's first-generation HHV-8 enzyme- linked immunosorbent assay diagnostic (ELISA), composed of a single antigen assay and a dual antigen assay, provide gt80% sensitivity and 96% specificity in identifying HHV-8 infected individuals and thus one of the more sensitive diagnostics. However, to be a commercial success, the sensitivity and specificity needs to be improved which we propose by improving the quality and number of capture antigens. In our Phase I grant, we demonstrated the feasibility of our approach by identifying an improved K8.1 capture antigen expressed in a eukaryotic system. To further optimize the assay for commercial use, we will in Aim 1 expand our search for both improved and new capture antigens, then in Aim 2 we will develop a multi-antigen assay. In Aim 3 we will conduct pilot-scale production and beta testing of the diagnostic assay to determine the specificity and sensitivity of the assay by retrospective testing of clinical blood samples. Achieving the goals in this project would generate a commercial HHV-8 diagnostic test which will identify infected patients and donors to reduce transmission risk and to make the blood supply safer.PUBLIC HEALTH RELEVANCE: Infection with the herpes virus HHV-8, only discovered in 1994, may cause several cancers including Kaposi's sarcoma, especially in patients with weak immune systems such as those with HIV. HHV-8 can be transmitted sexually, through saliva, and via blood and organ donations and approximately up to 5% of blood donors in the US have been infected with HHV-8. The project proposes to develop for commercialization a blood test to identify HHV-8 infected individuals thereby providing a diagnosis for infected individuals to understand their risk and modify their behavior as well as make the blood supply much safer for high-risk individuals and blood recipients in general. 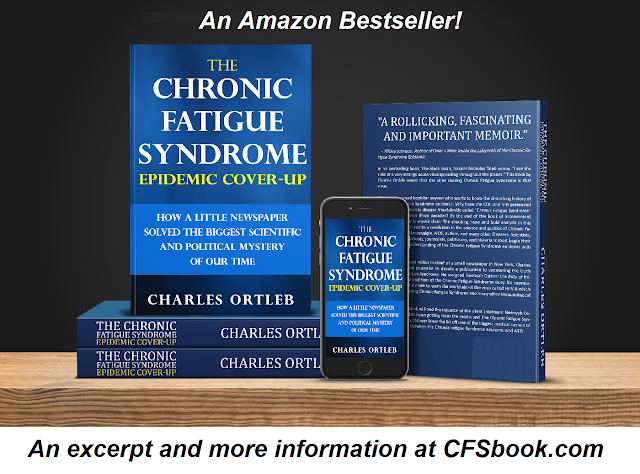 Over the last decade a wide variety of infectious agents has been associated with the chronic fatigue syndrome (CFS) as potential etiologies for this disorder by researchers from all over the world. Many of these agents are neurotrophic and have been linked previously to other diseases involving the central nervous system (CNS). Human herpes virus-6 (HHV-6), especially the B variant, has been found in autopsy specimens of patients who suffered from multiple sclerosis. Because patients with CFS manifest a wide range of symptoms involving the CNS as shown by abnormalities on brain MRIs, SPECT scans of the brain and results of tilt table testing we sought to determine the prevalence of HHV-6, HHV-8, Epstein-Barr virus (EBV), cytomegalovirus (CMV), Mycoplasma species, Chlamydia species, and Coxsackie virus in the spinal fluid of a group of 12 patients with CFS. Although we intended to search mainly for evidence of actively replicating HHV-6, a virus that has been associated by several researchers with this disorder, we found evidence of HHV-8, Chlamydia species, CMV and Coxsackie virus in 6/12 samples. Attempts were made to correlate the clinical presentations of each of these patients, especially the neurological exams and results of objective testing of the CNS, with the particular infectious agent isolated. It was also surprising to obtain such a relatively high yield of infectious agents on cell free specimens of spinal fluid that had not been centrifuged. Future research in spinal fluid analysis, in addition to testing tissue samples by polymerase chain reaction (PCR) and other direct viral isolation techniques will be important in characterizing subpopulations of CFS patients, especially those with involvement of the CNS. If you have Amazon Prime or Kindle Unlimited you can immediately begin reading this book that challenges the whole AIDS paradigm.